Nitecore NFF01 is magnetic e juice mix specially designed for vapers. 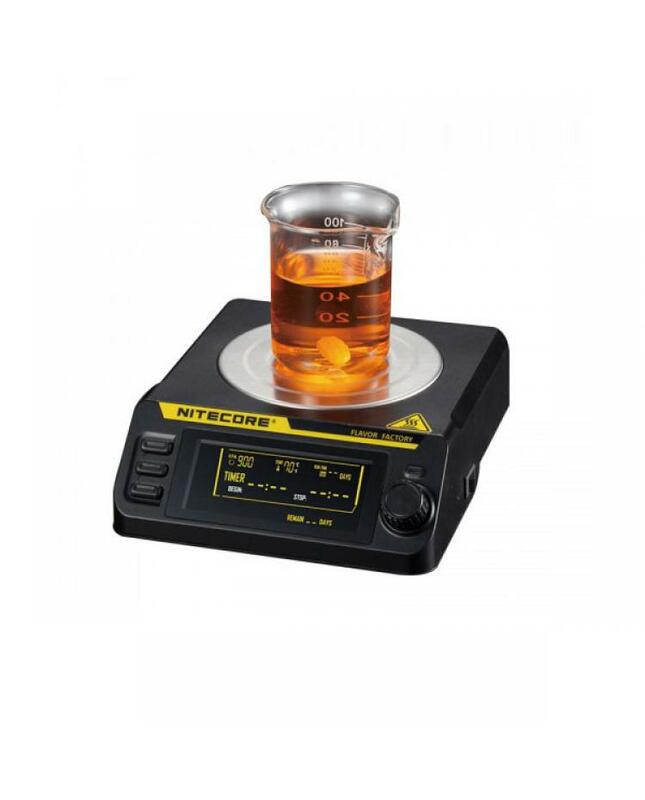 to mix e-juice for great smog and reduce the proportion of nicotine.the nitecore mixer with heating function, the heating temperature is selectable between 35 to 70 degree, heating evenly by the stainless steel panel..two different intelligent programmed modes selectable for different mixing demands, PMM programmable mixing mode and SMM simple mixing mode available. the SMM(simple mixing mode) is simple to access, capable of continuous running. the PMM(programmable mixing mode) have three working periods work separately, max duration up to 14days. 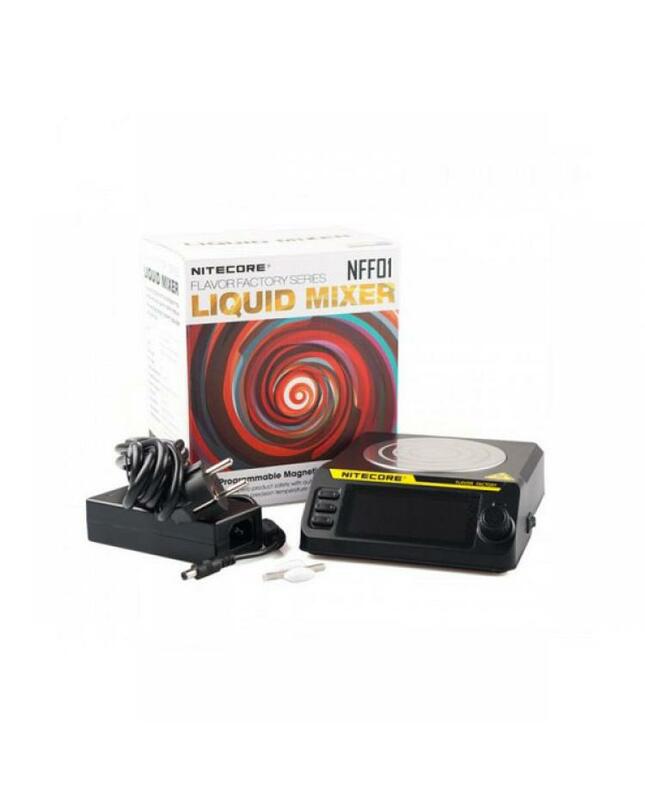 the NFF01 mixer with a large bright screen and friendly user interface to show the data clearly. multi-safety protections to ensure the e juice mix work reliable will be one of the best vape tools for vapers.